A week ago, I posted about this Braun Face. 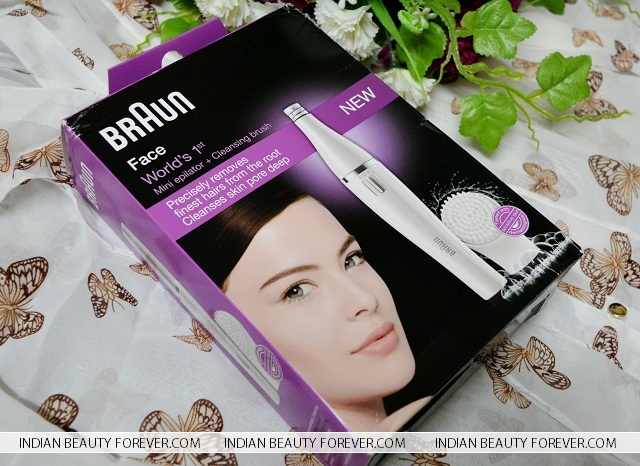 Braun face is a mini facial epilator which was recently launched by Braun India. 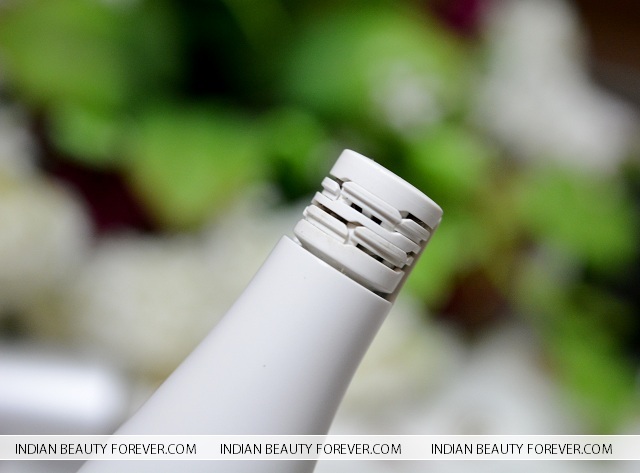 Earlier, I had reviewed the complete set of the Braun Silk Epil 7skin Spa 7951 which had loads of different attachments to serve different purpose and was perfect to get rid of the unwanted body hair. You can read the review of that. Braun Face is mainly dedicated to the get rid of the facial hair like the hair on upper lip, cheeks forehead. So, does it work well? Let’s get started with the review. Braun face comes with only a couple of attachments i.e. 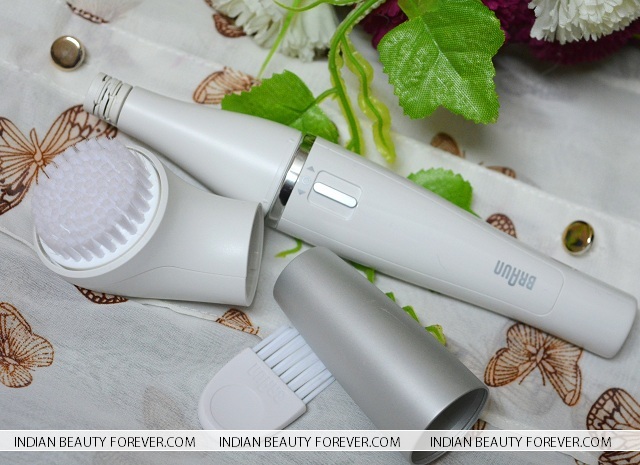 an AA battery, the main device with the epilator head, cap of the epilator, a tiny brush and a round cleansing exfoliating brush. To start the Braun Face 810 Mini Epilator, there is a small lid at the bottom which has to be twisted out and there goes the AA battery. The start button is right at the mid of the device where the thumb would rest while using this device. The head of the epilator is around a cm in width. 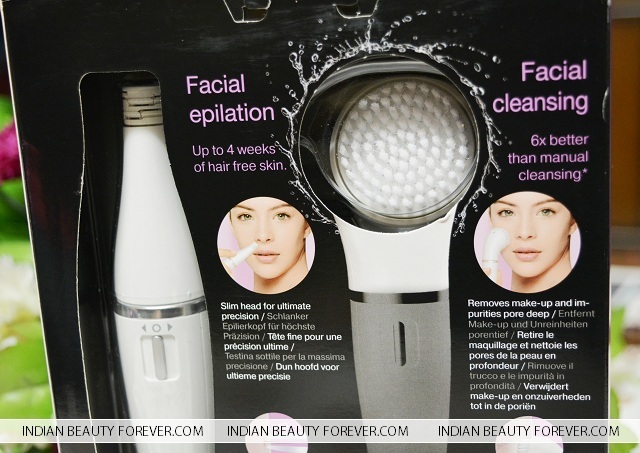 The tiny head makes it extremely easy to use this epilator over the lips, fore head, temples, over the brows and cheeks. 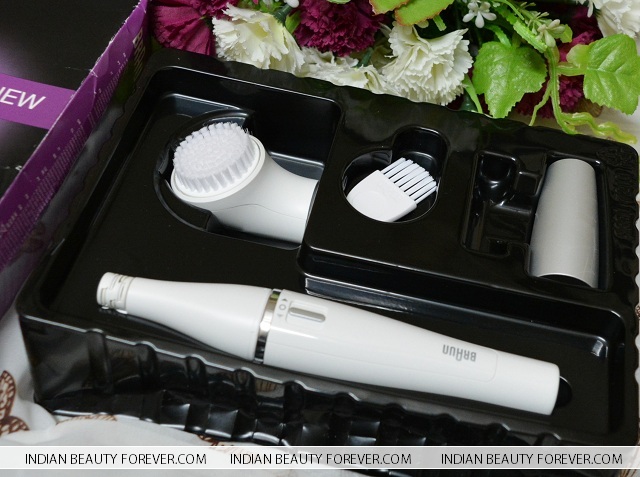 I have used the Silk epil with a really wide mouth of the epilator which worked well for my cheeks but as the size was quite broad, that wasnt of much help for the face contours but Braun Face is convenient to use for the lips forehead etc and I am sure Braun face is designed keeping that in mind. This is not my first time using an epilator so, I will say it doesn’t hurt much but I will not lie, for the first time, yes, it hurts but the good thing is once you start using the epilator you get used it it. Remember, the first time we let our brows threaded, yeah in the similar way, pain subsides. I am someone who threads and tweezes her brows, forehead and upper lip hair therefore for me a face epilator is very handy and time saving. Other than that when I don’t have time to visit the salon then this device comes handy. It can also be kept in a small bag if I want to travel with that which I am sure we do. If you face any redness or mild swelling then that means that you need a little more practice with the epilators but don’t worry that will go away just apply a light oil free moisturizer. I faced that the first time and I noticed that within 2-3 hours then redness was gone and the next time used it, I was more aware about the usage and the working. 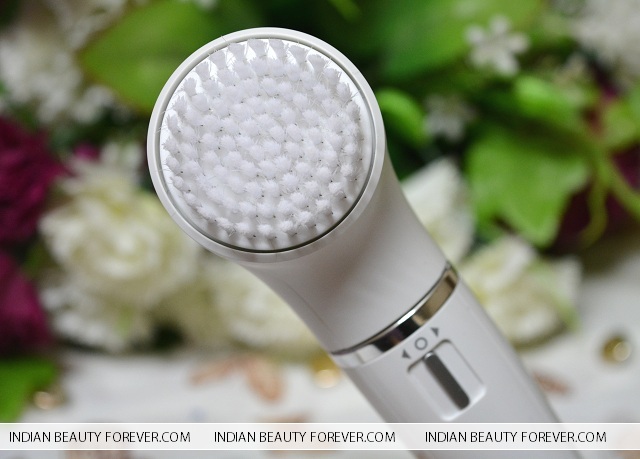 The cleansing brush is good to gently exfoliate and clean the face. I like that it is really soft. 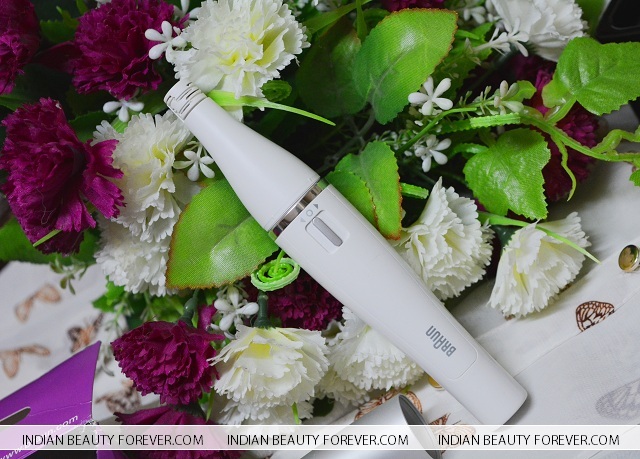 Overall, the Braun face epilator is a very handy and easy to use product. By the way, while was writing the review, I also used this. :D the one thing that bothers me, would be its not so user friendly battery slot. I mean the back of the device that you see where the battery will be inserted. That needs to be twisted and the then it will come out. I find that a bit inconvenient as I had to use something to get into that narrow slit and the take the lid. I used a sturdy card to do the twisting thing now and it is good to go. So, do I recommend this Braun face epilator? Yes, I do. It is very handy and convenient and I myself have used it so many times ever since I got it for the cheeks, lips and over the brows where my hair grows like crazy. PR Sample though my views are not biased.